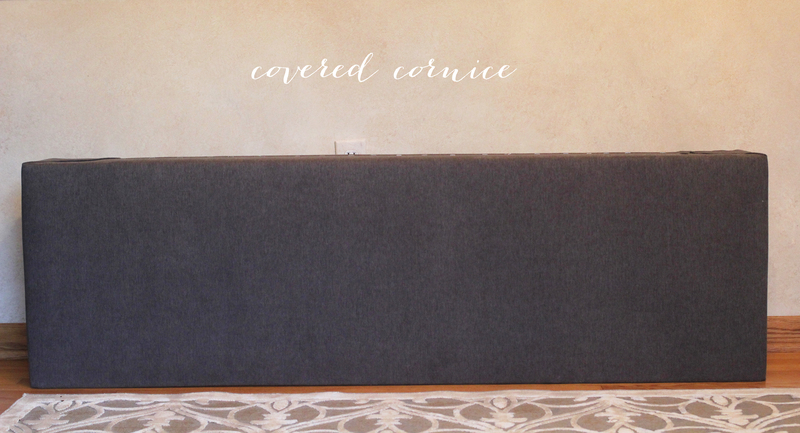 I covered old cornices that we already had instead of buying or creating new ones. 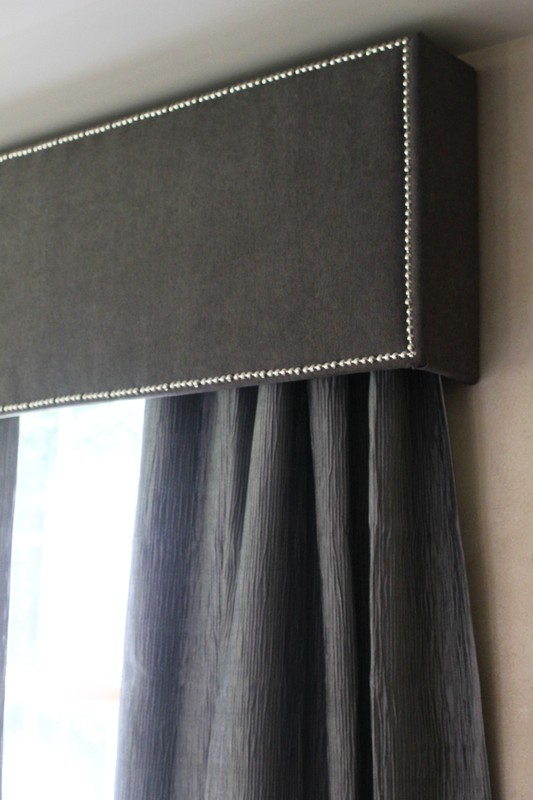 My overall vision was during a textured grey cornice, tufting it with nickel nailheads, and adding textured drapes in a contrasting color, to give it depth, instead of trying to make it “matchy.” Measure the width of your cornice, including each of the sides and add at least 2″ to each side to staple, and determine the amount of yards of fabric you will need. 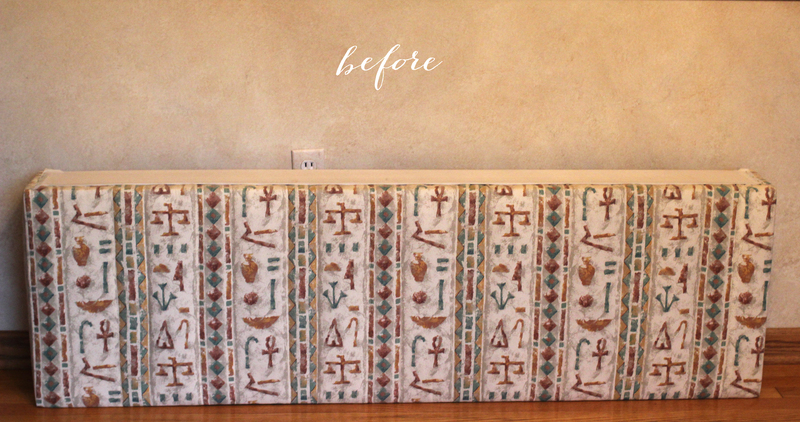 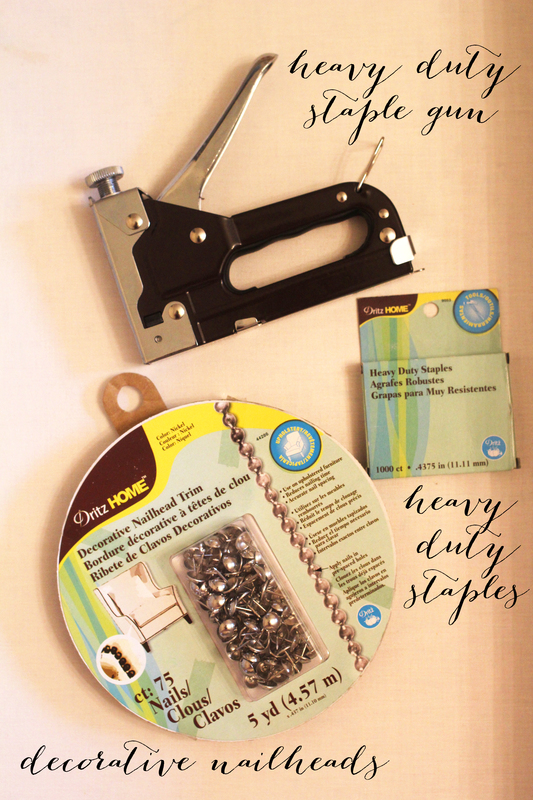 Cover your cornice with the fabric, pulling it tight as you go, and stapling it along the edge to secure it. 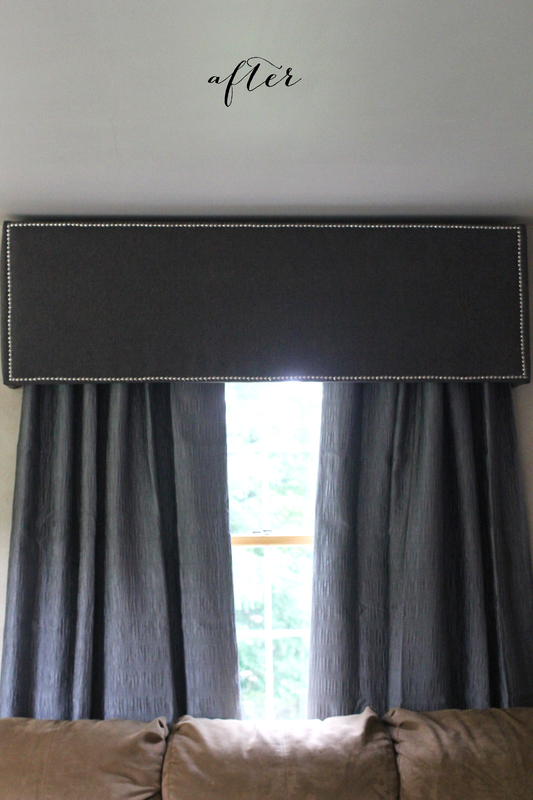 Next, measure a straight line around your cornice, making a square, of where you will apply your nailhead trim. 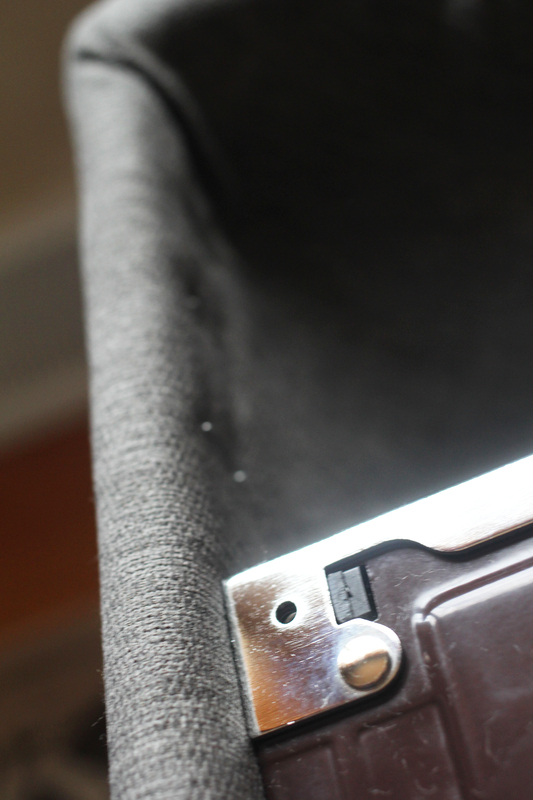 Carefully, place the nails and hammer in to secure. 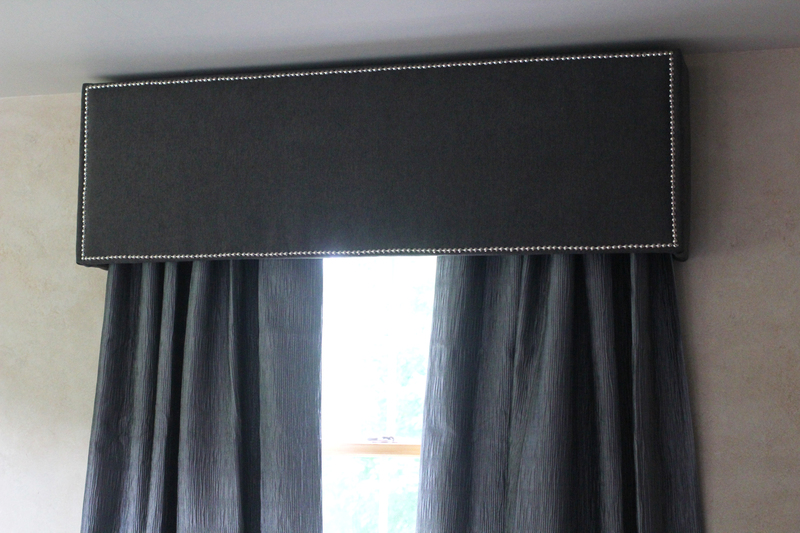 I bought a basic curtain rod and we installed it underneath the cornice and added contrasting textured curtains.